Up until the 1970s, compartmentalized living was the only way to go. Even today, in most spaces, individual rooms fan off of a connecting hallway. In the 1980s, some designers began embracing visual dividers, half walls, and other features that kept rooms separate but allowed more interaction. By the 1990s, the loft concept was beginning to take root, and today, it is more widespread than ever. 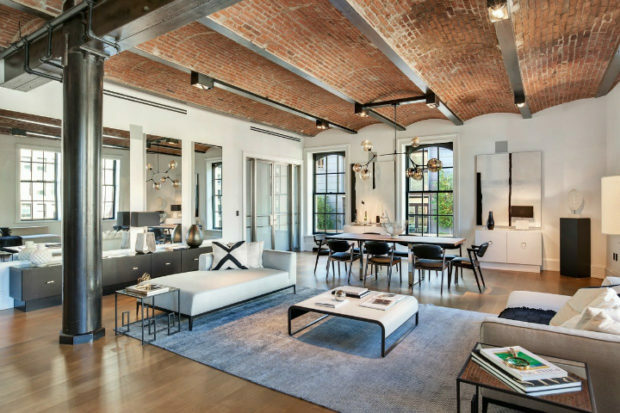 If noise filtration and visual distraction are no problem, there are some outstanding Toronto lofts that have some terrific advantages. Lofts are not for everyone, but most families will feel much more at home in an open space than a closed one. Only loft apartments allow people who are cooking in the kitchen to freely converse with people who are in the living room watching TV. As a result, your home has more energy. This dynamic is especially good for people who like to entertain guests. As a bonus, the open floor plan also teaches residents to be more responsible. If you leave a mess in one area, you cannot simply close the door to hide it. You have to clean it up. An open floor plan also teaches respect, because people cannot carry on loud phone conversations or blare the TV at full blast in the wee hours of the morning. Many families have young children or older adults who need a little extra visual attention. Open floorplans allow that to take place while still permitting residents to focus on the task at hand, such as working in the office area or cooking in the kitchen. This feature is also useful in the event of an emergency, like a kitchen fire or water leak. Instantly, everyone knows what is going on and what to do, and in disaster situations, an extra second or two can make a big difference. In compartmentalized floorplans, exterior rooms get all the natural light and interior spaces, which usually includes living areas, get none of it. But in open floorplans, sunlight comes through the windows and illuminates the entire space. The effect is even more dramatic if the loft includes extremely large windows, and most lofts do have this feature. These windows also offer tremendous views at night, especially in a downtown loft. Unless your last name is Guggenheim, your home probably has at least one or two blank walls. No matter how attractive the paint or wallpaper, this space is very unattractive and makes your home appear transitional. Open floor plans solve this dilemma not by adding to your art collection, but by eliminating most interior walls. Many people who have lived in compartmentalized homes their entire lives do not realize how much space interior walls and doors occupy. Loft floorplans free up this additional space. These layouts also create a convincing illusion of more space. Floor-to-ceiling bookshelves maximize this effect, as do strategically-placed hanging planters. Your home is one of your best means of self-expression, so make a bold statement with an open floor plan.